Stripes! Stripes! and more Stripes! A classic print to play with for spring, stripes are sure making quiet the trendy come back. 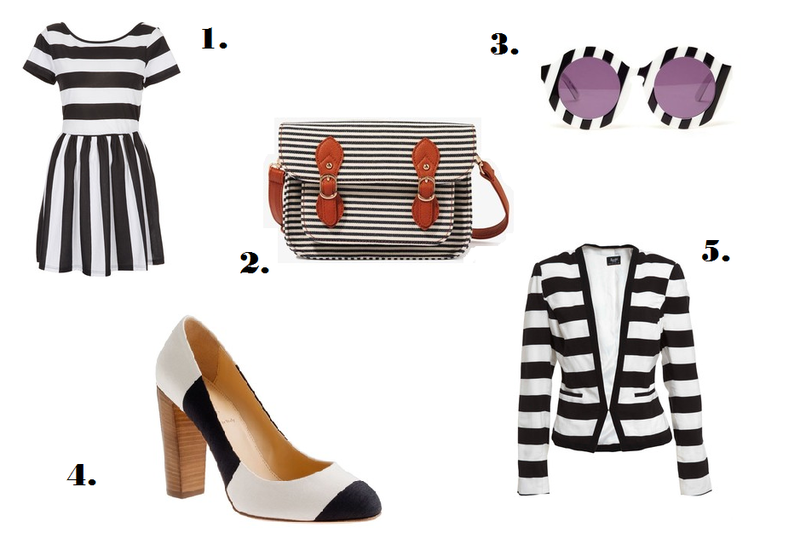 Sometimes hard to wear, look for clothes that have vertical stripes, for an elongated look. If your still not convinced try some statement accessories. I mean, how cute are those sunnies!?! ?